Concern over West Nile Virus cases in the Philadelphia area and the booming mosquito population thanks to all the recent rain, has many communities spraying as a preventive measure. Philadelphia will be spraying Fairmount Park today. 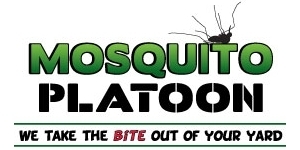 Meanwhile, homeowners are keeping companies like Mosquito Platoon (855-867-7729) busy spraying for mosquitos in their own yards. The two year old boy abducted in Upper Dublin Township at gunpoint last night has been found safe and the Amber Alert was cancelled this morning. Three armed men took Tymire Dior Smith after attacking his father and stole a car. The boy was found wandering around 66th and Malvern and taken to Children’s Hospital of Philadelphia. Authorities are investigating the cause of a four-alarm fire in Allentown that injured five firefighters Thursday morning. The fire quickly reached four-alarm status and damaged eight row homes, displacing several families. Five firefighters suffered heat exhaustion and dehydration. Firefighters were pulled from the building due to danger of structure collapse. Former Penn State President, Graham Spanier is insisting that he had no knowledge of Jerry Sandusky's sexual abuse of boys. During his first interviews with the national media since his resignation, Spanier talked about his own childhood experience with physical abuse and say he wishes he had known, so he could have intervened. Philadelphia Police and US Marshals have detained 23 year old Rafael Jones of North Philadelphia in connection with the murder of off duty police officer, Moses Walker. Jones failed to report to the probation office Wednesday and was arrested. Jones has a history of robbery and weapons arrests. Philadelphia has the first independently run Catholic school system in the United States. 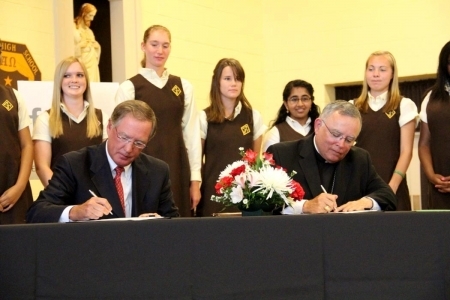 Archbishop Charles Chaput signed a 5 year agreement with the recently formed, Faith in the Future, to manage Philadelphia's 17 high schools and 4 special eds. Grade schools will still be managed by the individual parishes. 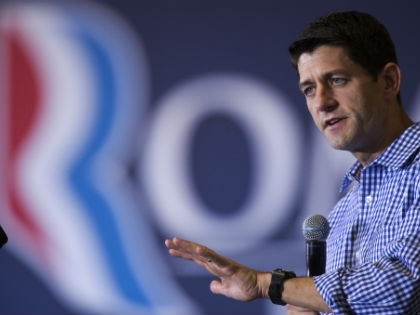 Mitt Romneys running mate, Paul Ryan, is in town today, He campaigned in Pittsburgh this morning, then the West Chester helicopter museum this afternoon and a fundraiser at the Union League in Philadelphia this evening. Ryan, the House budget chairman is a champion for cutting spending on social programs and creating a Medicare voucher program. 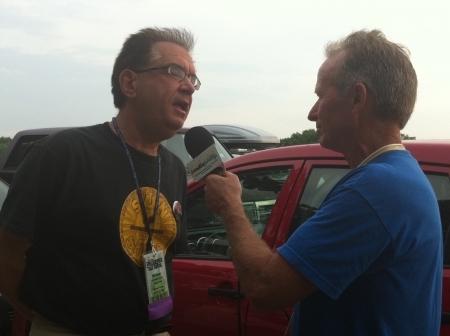 The 51st annual Philadelphia Folk Festival was broadcast LIVE for the first time ever. The internet stream was heard around the world on iRadioPhilly.com This weekend, October 19-21st, iRadioPhilly will replay the Main Stage performances. Listen on the iRadioPhilly.com website or the FREE iRadoPhilly App for iPhone, iPad and Android. The reward is $35,000 and the manhunt continues today for the man who gunned down Philadelphia Police Officer Moses Walker Saturday. Walker was shot in what investigators believe was a robbery gone bad as Walker was walking to the bus on his way home after his shift at 20th and Cecil B. Moore. Office Walker will be buried with full police honors. According to a new biography, former Penn State head coach Joe Paterno cried while addressing his assistant coaches after Joe Pa was fired as a result of the Jerry Sandusky scandal. 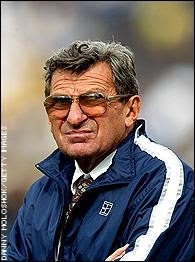 According to the book, Paterno told his son he spent his whole life trying to make his name mean something. And then it was gone.